The shafts of the oars were about 1780mm long (about 5' 7") and the blades extended past the end of the shaft by about 25 - 50mm (1-2"). 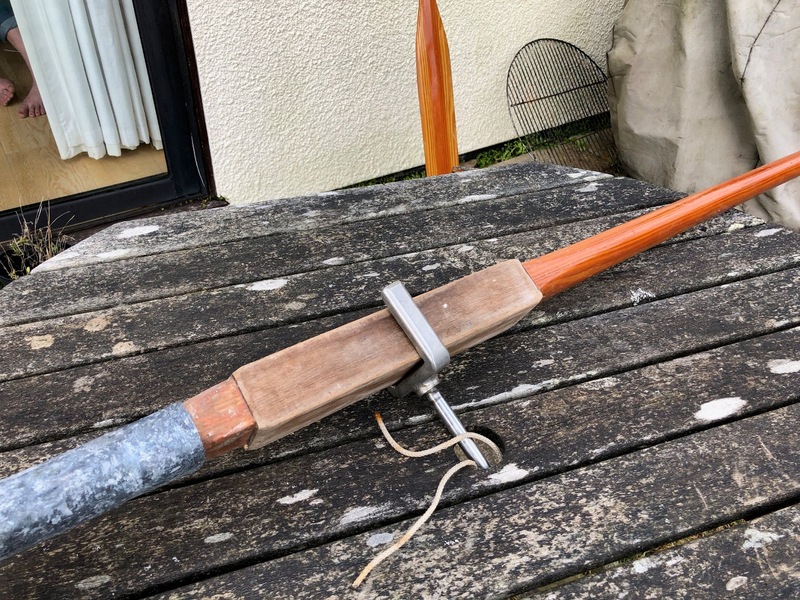 The shafts were 40mm in diameter, slightly narrower for the handle and made from clear douglas fir. 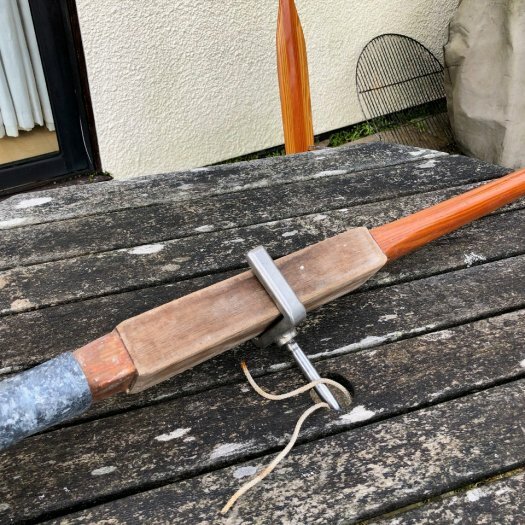 They were very basic, there was no "collar" to stop the oar slipping past the rowlock, or leather cover to take wear from the rowlock. The blade is made of 5mm ply, about 190mm wide at the widest point and about 470mm long. 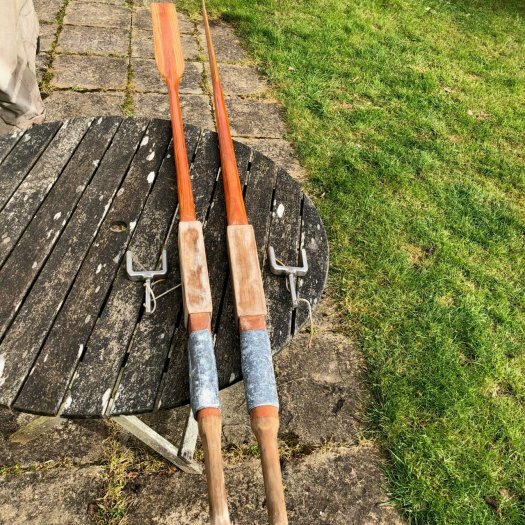 In the UK you often see Mirror oars on e-bay or boat gear jumble sales. 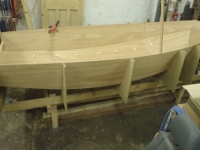 According to the original Bell Woodworking Mirror Building Instructions, the rowlocks were mounted aft of the thwart, about 27" or 686 mm aft of the aft edge of the aft shroud block. See more details about the location and fitting of the rowlocks and rowlock plates/fittings. 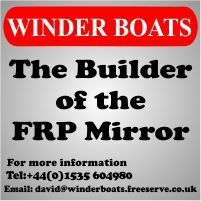 Some owners have upgraded their Mirrors with better oars and rowlocks. 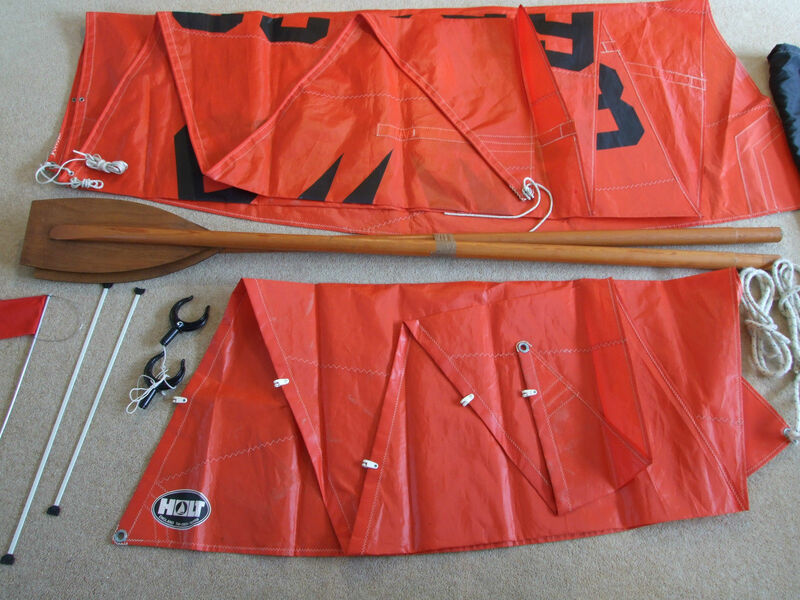 These photos are of the oars on 5846 'Banana Skin'. 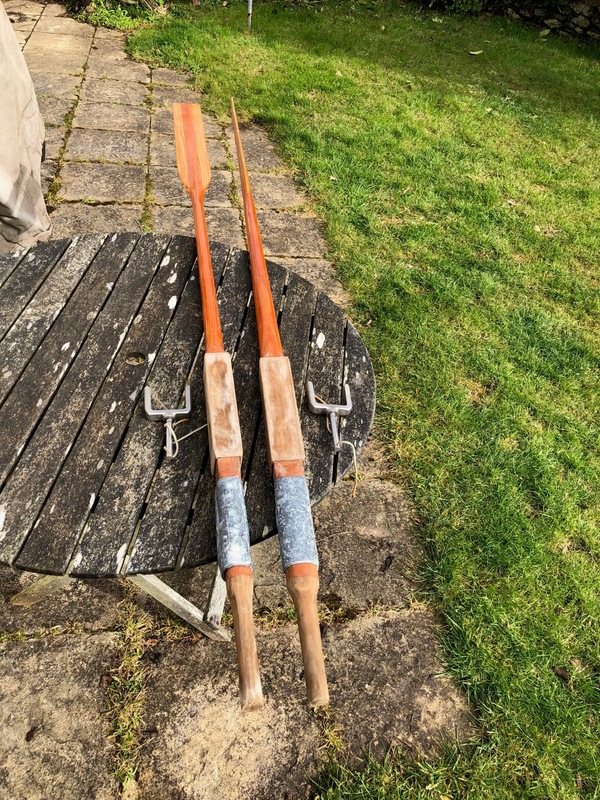 John Beckly has kindly given me the specification of these oars as well. The gray section, just below the handles, is some lead, to balance the weight of the shafts and blades.